Reed Rudy © Copyright 2012 To Present. Photo: Robert Staley. Reed teaches a six-week voiceover intensive 6 or 7 times year. He focuses on voiceover technique essentials (breath, intention, right sound/tone, developing a character) and learning how to breakdown copy. 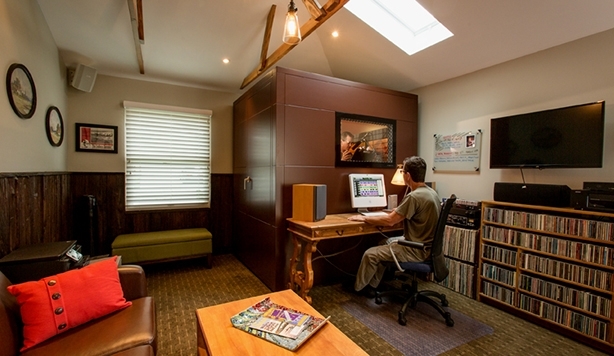 The studio has one of the finest acoustically engineered and luxurious booths on the market, by Studiobricks. The space for students/clients is very accommodating and provides a warm environment. Each session is limited to 8 students, making for an intimate and supportive workshop.